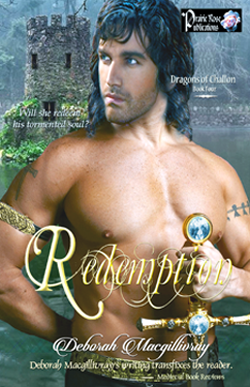 From the moment Julian, Dragon of Challon, crosses into the Scottish Highlands, ancient visions and present Medieval beauty unite in the handsome body of this one dark powerful warrior. 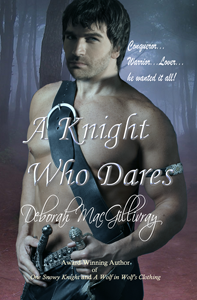 King Edward Longshanks means to use this man in a bid to conquer Glenrogha but Tamlyn MacShane is not a woman to be easily manipulated. Then again, Julian's hot warrior blood relishes the challenge of this feisty woman, not afraid to speak her mind. Does she ever speak her mind --- with power, wisdom and humor all combined in one! As leader of her clan, however, any action against him might endanger her people and plunge them into war. Julian is weary from the horrors he has seen in war. His very soul is enveloped in darkness. 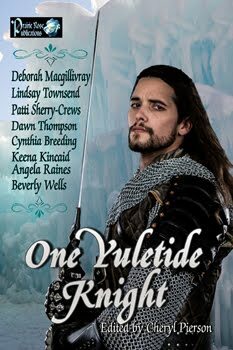 Can Tamlyn, with her gift of kenning (knowing or sight) and the blood of Sidhe inside, reach a place deep in this knight's heart and bring him home? 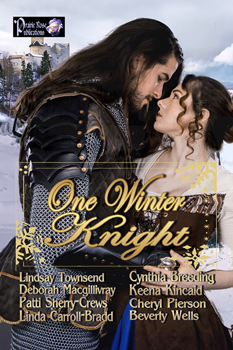 Can Tamlyn remain faithful both to her clan and her heart? Can these two hearts find tenderness and love in a world torn by the strife of war? 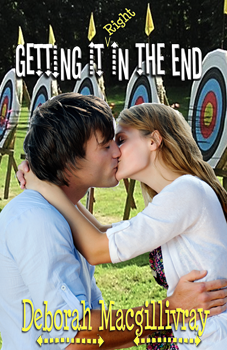 Can the political maneuvers of those remote from Glenrogha destroy the special haven created by their growing love? Reading Deborah MacGillivray's A RESTLESS KNIGHT feels like coming home to this medieval enthusiast. The pure language alone, the rhythm and the imagery, intoxicates with its beauty and medieval vocabulary. A special kudo for the palfrey horses! The sensuous detail of her landscape and characterization evokes the Medieval world as if it were present to hear, see, smell, taste and touch. 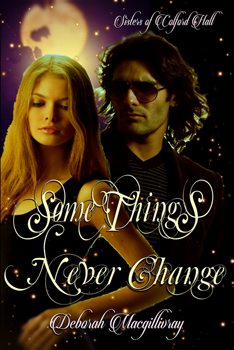 The emotional depth of this romance creates a love that is both sensual and mystical. Paranormal elements mix with historical authenticity, creating a fictional world that honors the full scope of the medieval literary traditions. 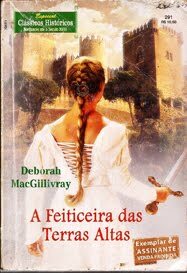 In Tamlyn and Julian, Deborah MacGillivray creates a medieval legend that is uniquely her own yet hearkens back to the great legends of old with just the perfect echo to delight any medieval enthusiast. If I didn't know better, I would be tempted to search the news of Medieval scholarship to discover whether a new Scottish manuscript was discovered hidden in the spine of a book in a remote library. 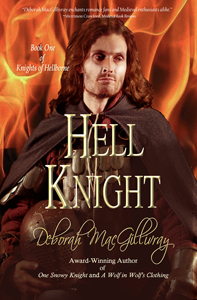 And yet I do know better, because Deborah MacGillivray's romance is more than a beautiful medieval tale. 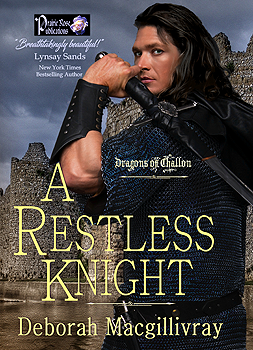 A RESTLESS KNIGHT is every woman medievalist's fantasy find --- the longed-for but until now unwritten romance story one had hoped to discover within or behind a Medieval text. The richness, intensity and depth of Deborah MacGillivray's writing transfixes the reader. A RESTLESS KNIGHT is quite simply a mystical reading experience for this medievalist. So often I've read books that have secondary characters in them that I've wondered what was going on with them while the main story was taking place. Where did they go when they disappeared? What happened to them? Who were they with? 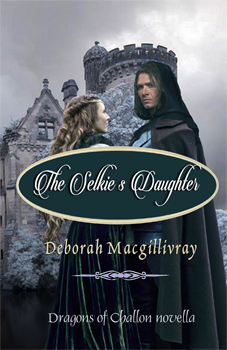 Deborah MacGillivray has such a talent for bringing to life these secondary characters by giving them their own storylines and their own books! 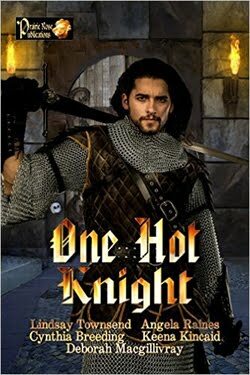 For those who haven't read "A Restless Knight", I HIGHLY RECOMMEND reading this first before you read "In Her Bed." 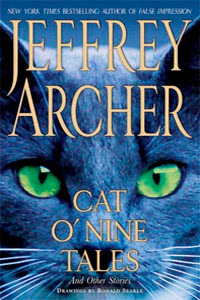 These two books are linked not just by the characters, but they take place at the same time. "A Restless Knight" slightly precedes "In Her Bed." This is why it is important for you to read "A Restless Knight" first. Damien St. Giles, Lord Ravenhawke, thinks he's in love with his cousin's bride and it is tormenting him to watch the two of them together. Although he is happy for them, he can't shake the pain his heart feels for the woman he thinks he's been seeing in his dreams for years. Aithinne Ogilvie is in desperate need of securing her future and the future of her people. She needs to be with child and sends her three brothers and servant to find her a man who will serve that purpose. Unknown to her, they bring her the cousin to the infamous Black Dragon of Challon, who is her cousin Tamlyn's new husband! 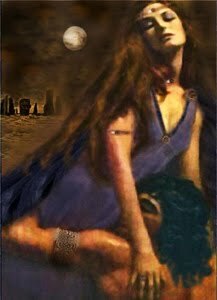 On the night of the Beltane celebration, Damien finds himself drugged and chained to the bed of Aithinne Ogilvie. In his altered state of mind, he thinks it is Tamlyn who he makes love to; he has no clue it is her cousin who has captured him. When Lord Ravenhawke and his cousin come to lay claim to Aithinne and all her holdings, Damien is drawn to this woman who resembles Tamlyn. Damien can't ignore the fact that his body, heart, and soul desire Aithinne more than he understands or cares to admit. 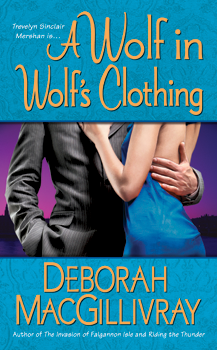 He craves this woman who feels she is a poor comparison to her beautiful, perfect cousin. My heart ached for Aithinne and I cried, ok, sobbed at her anguish that she may never have the love of Damien the way Tamlyn and Julian love. "In Her Bed" completely augments "A Restless Knight" but holds its own story well. My heart was captured by the love story between Damien and Aithinne! There was so much passion and desire between these two people who have lived their lives in the shadows of their cousins. Once again, I give my highest rating of * * * * * stars to another of Deborah MacGilllivray's books! I cannot wait until the next book in "The Dragons of Challon" series and have found myself yet again in love with another Dragon! Jago Mershan knows the value of love; it's the reason he's willing to continue with the revenge plan his brother is insisting on. Of course, Jago didn't expect to fall for Asha Montgomerie, one of the women his brother's plan will destroy. Asha doesn't trust Jago initially as he identifies himself as Jago Fitzgerald, the representative for the developer Trident Ventures. Asha doesn't intend to sell her restaurant no matter how much money is offered! 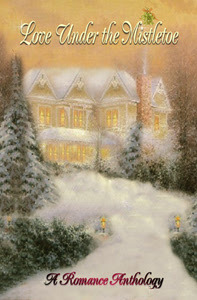 After all, the ghostly inhabitants of Tommy and Laura won't allow any changes to The Windmill. Will Jago and Asha find true love even as their differences separate them? I think this may be my favorite book yet by Deborah MacGillivray. Considering I have enjoyed each and every one to date, that is saying quite a bit! RIDING THE THUNDER is the sequel to INVASION OF FALGANNON ISLE although the events are happening almost simultaneously in both books. Regardless as to whether you've read the first book, RIDING THE THUNDER is easily understood and enjoyed. 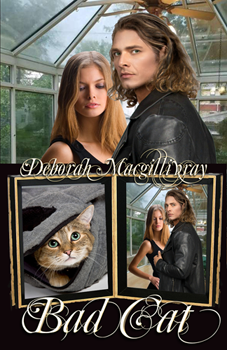 Deborah MacGillivray creates characters who are so vivid that one believes they must be real. Even her secondary characters are phenomenal. Who can't help but love Oo-it? Asha and Jago practically spring to life off the pages as the reader is drawn into their beautiful, almost breathtaking love story. 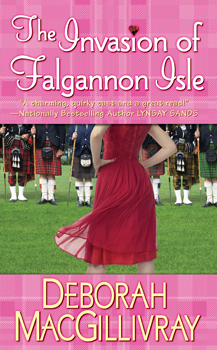 Deborah MacGillivray reaches into the hearts of her characters and captures each emotion so poignantly. Her exquisite use of language is unparalleled as she is an author clearly at the top of her game. RIDING THE THUNDER is a story that take you through the entire gamut of emotions as you will laugh, cry, scream, and cheer for joy. Atmosphere is critical to the success of RIDING THE THUNDER, and Deborah MacGillivray delivers exactly what is needed. The ambiance of The Windmill is perfect for the ghostly apparitions of Tommy and Laura. 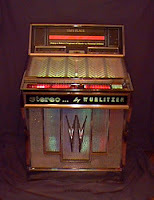 The added touch of the seemingly haunted Wurlitzer jukebox is sheer genius. 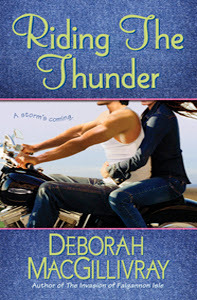 RIDING THE THUNDER showcases the superb writing skills of Deborah MacGillivray. No matter what story or time period, Ms. MacGillivray thoroughly enchants her readers with her delightful tales. RIDING THE THUNDER is highly recommended! Award winning author Deborah MacGillivray continues her creative Sister of Colford Hall series with her hauntingly magic novel, RIDING THE THUNDER. 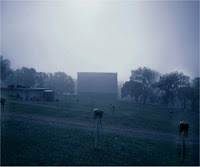 Content to own and run the 1960s style Windmill diner, motel, drive-in theatre and swim club in rural Kentucky, Asha Montgomerie relishes the slower pace. 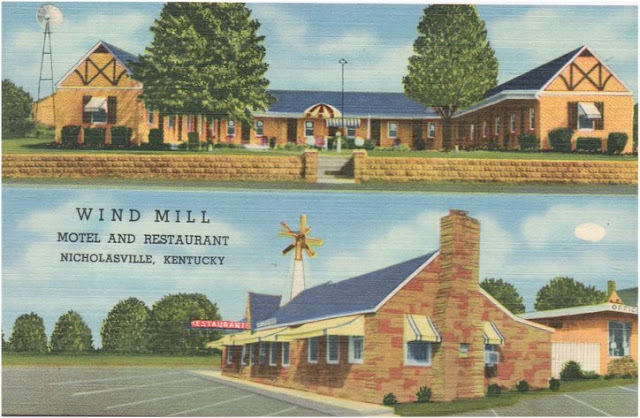 Her employees are like family, all finding their home at the Windmill. There are even resident ghosts haunting the diner; two star crossed lovers killed in a questionable car accident and a manic juke box that plays tunes from the 60s at will. 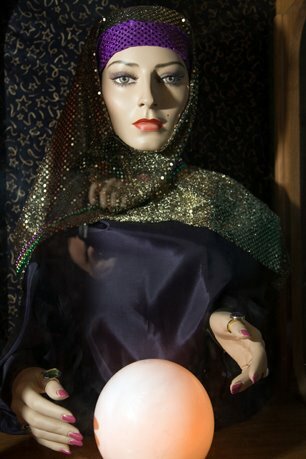 Oddly enough, Asha seems to have a connection with the ghostly lovers through her fey Picish powers her Grandmother told her all Montgomerie women posses. Unfortunately, Asha’s contentment is threatened by a large conglomerate, Trident, that sent a representative, Jago Fitzgerald, with offers to buy the Windmill and her brother Liam’s horse farm. Of course Asha has no intention of selling but Jago certainly plays havoc with her libido the minute she lays eyes on him. 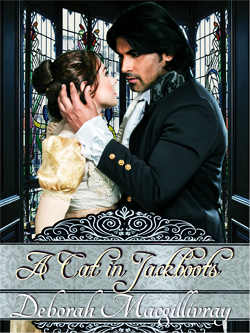 Jago Fitzgerald Mershan is struck by the beauty of the feisty auburn haired Asha. He rapidly falls for her and immediately begins a battle with his guilt. Jago is deceiving Asha and plans to “take over” the Montgomerie holdings in Kentucky even as his brothers are doing the same in England and Scotland. 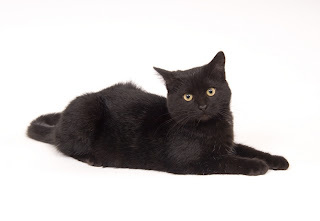 Jago begins to make himself at home at the Windmill by first buying a vintage Shelby Mustang then a classic Electra Glide motorbike and finally being adopted by a large black cat. With Jago becoming part of the Windmill family, who will he betray, Asha or his brothers? 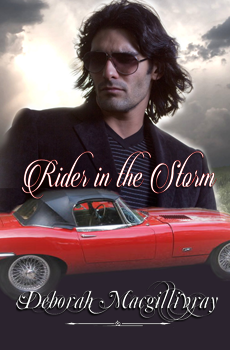 RIDING THE THUNDER rumbles along taking readers on an entertaining ride. 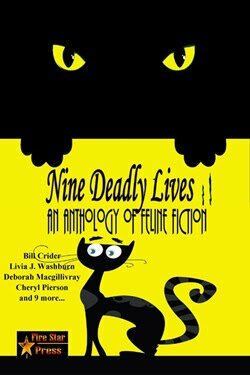 Deborah MacGillivray gifts us with well matched heroes, luscious love scenes and engaging secondary characters that ensnare us in the suspenseful plot of her witty romantic story with a paranormal touch. My advice; get this book and ride the thunder! 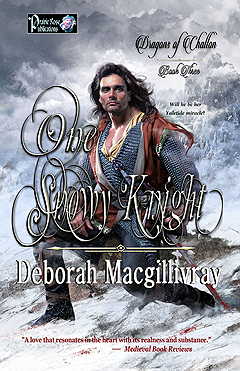 DeborahAnne MacGillivray debuted on the Historical Romance scene with "A Restless Knight," one of the best Scottish Medieval Romances ever written. It was amazing to believe this book was a debut. The release of the sequel, "In Her Bed," will awe historical romance readers even more with another beautiful storyline with depth of research and character development. Very few writers have the ability to continue a series without having the following books go flat, thus disappointing fans. Not with DeborahAnne MacGillivray! Nobody does it better! Continuing where the previous story left off, Julian Challon, known as The Black Dragon, has been declared the overlord of all Scottish lands surrounding Glenrogha by decree of King Edward I and marriage to the beautiful Lady of Glenrogha, Tamlyn MacShane. 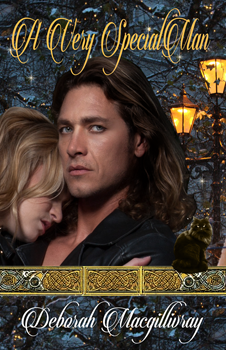 We leave the Beltane festivities and upcoming marriage celebration of Julian and Tamlyn who have found true love and happiness in this arrangement, only to have Julian's cousin and right-hand man, Damian St. Giles, Lord Ravenhawke, confused, depressed and missing. 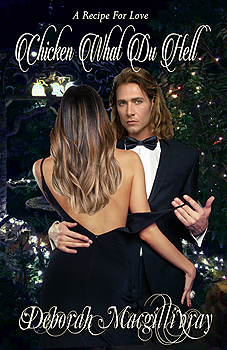 The handsome Damian feels he is in love with his cousin's future wife, Lady Tamlyn, as he believes it is she that continues to rescue him in a recurring dream he has had for years. Damien's duty toward his cousin, Lord Challon, and to King Edward, is to become the Lord of Lyonglen, lands rightfully his as the old Barron's grandson, which just happen to be close to Glenrogha and currently occupied by Lady Tamlyn's look-alike cousin, Lady Aithinne Ogilvie. Lady Aithinne has been under the guardianship of the old Lord of Lyonglen for years and now that he has passed away, upon hearing the rumors of King Edward's invasion and The Black Dragon is concerned about the precious lands and people of Lyonglen. She is also troubled as many Scottish lairds have tried to steal Lyonglen through marriage to her. In her attempt to save herself and Lyonglen she feels she must convince everyone that she had married the old Barron of Lyonglen before his death and that she is with child; a child that would be considered the true heir to Lyonglen. But Aithinne is an innocent virgin, so she turns to the old healer Oona to produce a potion that would draw a handsome and strong man to her bed for a period of time so that she can conceive. She sends her brothers out to the Beltane festivities to find and bring back a strong and handsome man for her to bed, not realizing they would return with the true Lord Ravenhawke, the long lost grandson of the Barron of Lyonglen. Oona's powerful potion works and for seven beautiful nights Aithinne has the handsome Damian in her bed, bound and captive, being fed the potion until she can conceive. 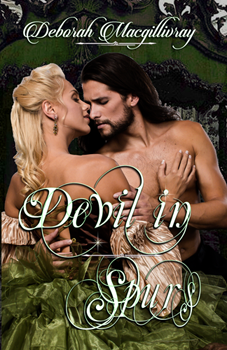 With this powerful potion Aithinne and Damien experience passion beyond their wildest dreams. While Aithinne discovers passion that soon turns to love, Damien, confused by the potion and the beauty in his bed that strongly resembles Tamlyn, believes he is with Tamlyn, and cries out Tamlyn's name during intense passion. Not realizing her own special beauty, Aithinne has always felt second best to her beautiful cousin and is crushed at discovering Damien's love for Tamlyn. Once Oona confirms that Aithinne is with child, Aithinne realizes she must let Damien go, not realizing who he truly is and that Tamlyn is in love with and is going to marry The Black Dragon. Damien is given another potion in order for him to forget and he is released. He returns to Glenrogha even more confused, arriving just in time to celebrate the upcoming wedding of Julian and Tamlyn and witnessing their intense love. How could Tamlyn bed him so passionately when her love for Julian is so obvious? Aithinne is left alone, hurt, and in love, but happy to be carrying Damien's child. 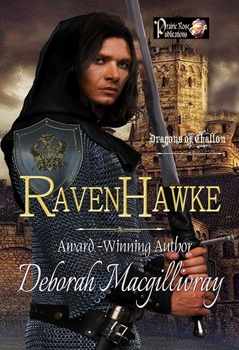 When Damien returns to Lyonglen as Lord Ravenhawke, the grandson and rightful heir, chaos begins. 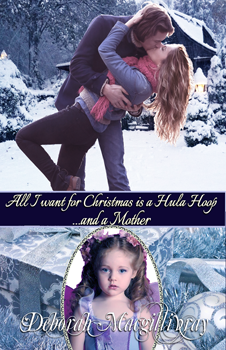 Aithinne is carrying Damien's child and is in love with him, but he does not remember her. Once Damien takes over the duties as Lord of Lyonglen, the more time he spends with Aithinne, he begins to remember parts of the recent past until finally he remembers all and that it was Aithinne he has bedded. He comes to realize that not only has he fallen in lust, but in love and that the child Aithinne carries is his. But most important, he realizes it has been Aithinne who has been the woman in his dreams, not Tamlyn. Can Damien forgive Aithinne for her deception? Will Aithinne forgive her own deception as well, now realizing her error, but most of all; can she forget Damien's declaration of love for Tamlyn during their time of intense passion and ever come to realize that Damien's love for her is true? Or will both realize that their love is stronger than any deception, dream, magical potion or spell can produce? Once again the beauty and magic of "A Restless Knight" is re-created and becomes something better and difficult to describe in its intensity. 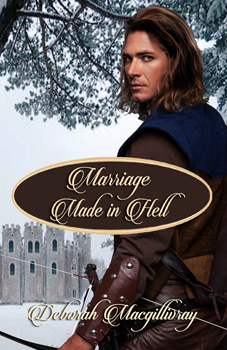 A fan of medieval romance cannot read anything better or more enjoyable. This sensual story of love keeps the reader spellbound to the pages in a way only DeborahAnne MacGillivray can. "In Her Bed" is a stupendous read and a true match to the first book in the series. 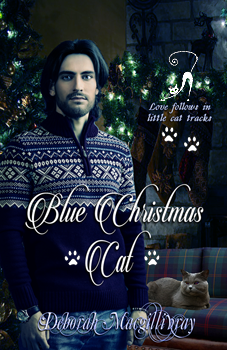 It is a definite keeper for those who love Scottish folklore and the true magic of love.